CellProthera’s team aim to build a leading company in the field of regenerative medicine and put together every necessary effort to make a difference in the management of patients following myocardial infarct. Scientific, clinical and pharmaceutical experts together with financial and industrial specialists who all bring together their expertise to path the way to success. Originator of the therapeutic solution, he heads and manages the scientific research of CellProthera. He is founder and director of the “Institut de Recherche en Hématologie et Transplantation” (IRHT) in Mulhouse. 1968: MD degree at the School of Medicine of the Paris University. 1970: Certification in Hematology& first nomination as Senior Lecturer. 1974 – 1978: Assistant Professor/Assistant Director of the Department of Hematology at Hopital Lariboisière , Paris. 1979 – 2005: Head of the Department of Hematology – Mulhouse Hospitals. 1987 : Founder & Director of the « Institut de Recherche en Hématologie et Transplantation » (IRHT), Mulhouse. 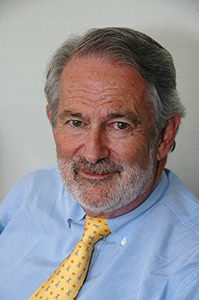 2000 – 2008: Professor and Director of the Educational Program on Hematopoiesis and Cellular Therapy at the University of Haute Alsace, Mulhouse. Author of more than 160 peer-reviewed scientific publications and of 3 books focused on PBSC transplant and stem cells. Invited editor of 5 special issues of different peer-reviewed scientific journals. Author of more than 200 communications – of which 110 as Guest Speaker -and more than 40 chairmanships in international congresses & meetings worldwide. Organizer and Chairman of 12 International Symposia and Workshops in Mulhouse, most of them focused on peripheral blood stem cells. His group was a pioneer in the field of peripheral blood stem cell (PBSC) identification and transplantation and realized the 6th worldwide PBSC graft in 1986. He is member of twelve national and international scientific societies and corresponding member of the New York Academy of Sciences. In 1992, he was co-founder and member of the Board of Directors of the International Society for Hematotherapy and Graft Engineering (now International Society for Cell Therapy). He contributed to peer-reviewed journal editorial boards like Bone Marrow Transplantation, Stem Cells or the Journal of Hematotherapy. 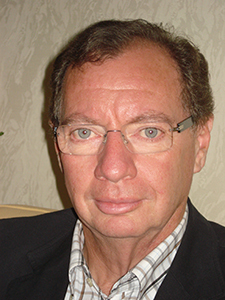 European Editor for the “Journal of Hematotherapy and Stem Cell Research” (1999-2003) and for “Stem Cells and Development” (2004-2006). Chairman of the Supervisory Board, former CEO, Jean-Claude JELSCH has mostly focused on fund-raising and has succeeded in capitalizing 30 millions euros since the creation of CellProthera. Today, he continues in this direction and is actively seeking future partners and investors of the company. He brings to CellProthera a solid industrial and international background in the field of cardiology. He is focusing on leveraging the resources and know-how of the company towards its main goal, which is to offer a safe, efficient and groundbreaking therapy to many patients in need of it. Since May 2012, he is actively defining the development of CellProthera’s therapy and prepares the international clinical trial. Medical Doctor, specialized in cardiology and hematology, he has a well-established experience in the medical and pharmaceutical fields. These last ten years, he managed the development and marketing of compounds of various pharmaceutical companies such as BAYER, TEVAPHARMA (Neurology, multiple sclerosis, biosimilars, and cellular therapy) or MUNDIPHARMA (Onco-Hematology). Pharmacy graduate of the “Faculté de Pharmacie” of Paris V René Descartes building her solid pharmaceutical experience in all aspects: regulatory affairs, pharmacovigilance and quality assurance. Sabine has joined CellProthera’s team in December 2015. Marc KOWALCZYK has joined CellProthera in March 2017 as Development and Industrialisation Director. Marc holds an engineering degree in Mechatronics with a specialisation in Biomedical Engineering and a Master in Business & Technology. Previously, he was in charge of the development and industrialization of severalinnovative medical implants and devices in the cardiovascular and spine stabilization fields. His solid experience in the medtech industry at Medtronic, Stryker Spine and BBraun strengthens CellProthera’s positioning towards first commercialization of its therapy and related devices.